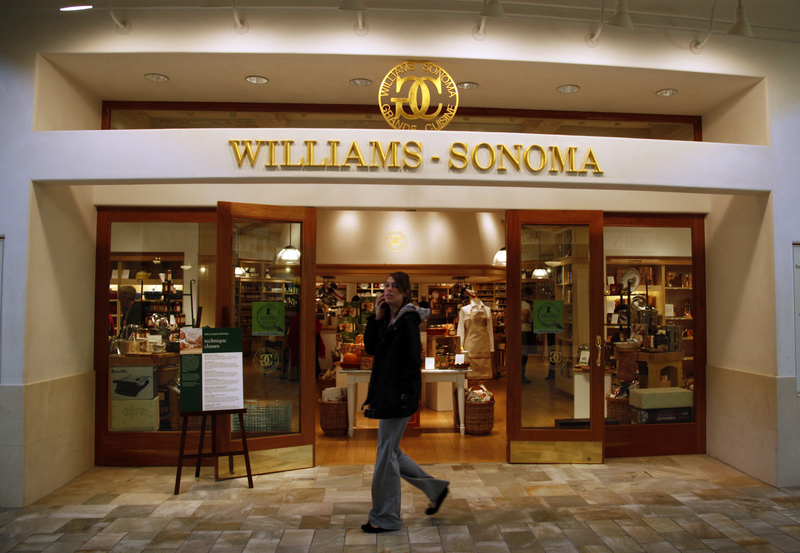 Williams-Sonoma is a prime example of a common oddity. The cookware-to-furniture merchant generates nearly half its sales over the web with Amazon-like growth and more profitability. Yet investors pay 10 times as much for the e-commerce king’s earnings. That logic has its limits. Williams-Sonoma, owner of the eponymous upscale kitchenware shops and Pottery Barn home goods stores, is scheduled to report fiscal first quarter 2014 earnings on May 21. Analysts expect the company to post a 6.3 percent improvement in revenue and an 8.5 percent increase in earnings per share for the period, according to Thomson Reuters data. Zulily, an online retailer that bills itself as a “shopping destination for moms” and which went public in November 2013, on May 7 reported an 87 percent jump in first-quarter revenue but a wider quarterly loss. Its shares fell 30 percent on the news. The shares were originally priced at $22 and were trading on May 9 at around $33 apiece.